Tag Archives for " Britain "
Brexit : We did it first ! In case you’ve been asleep for the past month, the people of Britannia voted to leave the European Union by a slim majority. All the polls predicted they would stay but nope, Plebs being Plebs didn’t listen and voted out. The person who agreed to allow the vote and managed a poor campaign, David Cameron, has resigned. Since then some of the pro-leave advocates Farage, Boris and Gove have all left the political stage. A new dawn beckons where Teresa May is going to be the new Prime Minister. She will be the second female PM after Thatcher. It is not looking good to the Opposition either, where there is a Labour party backlash against the Uber-Lefty leader, Corbyn who may not survive. It is now up in the air about what happens next : trade, work visas and others as there is no transition plan. Also, ‘Leave’ means uncertainty about the long term survival of Great Britain as an political union with the Scots making noises about wanting a second referendum on independence. Scotland voted majority to stay and claim that the 2014 referendum was based around Britain being a member of the EU. Since Britain is now Brexiting, they are saying not so fast we want to stay in. This is not easy in the Spain, for example, doesn’t want to allow countries to split up like this as Catalonia may have similar ideas. Over Wine, we emperors of Roam were tittering where we thought it funny to think that around 1600 years ago, it was Romans who had the original Brexit around 410 AD. Back then Emperor Honorius wore the purple. Troubles on the continent– Rome was having a bit of bother with the Vigioths. So much so, it led to the sacking of Rome by the barbarian, Alaric. Political Divorce with no plan– Our Brexit was the Romans moving our troops to the Continent. Adios Brits and thanks for the tin ! Immigration – Saxons, Angles and Jutes coming across without visas and taking the jobs Romans wouldn’t do like defend the country. 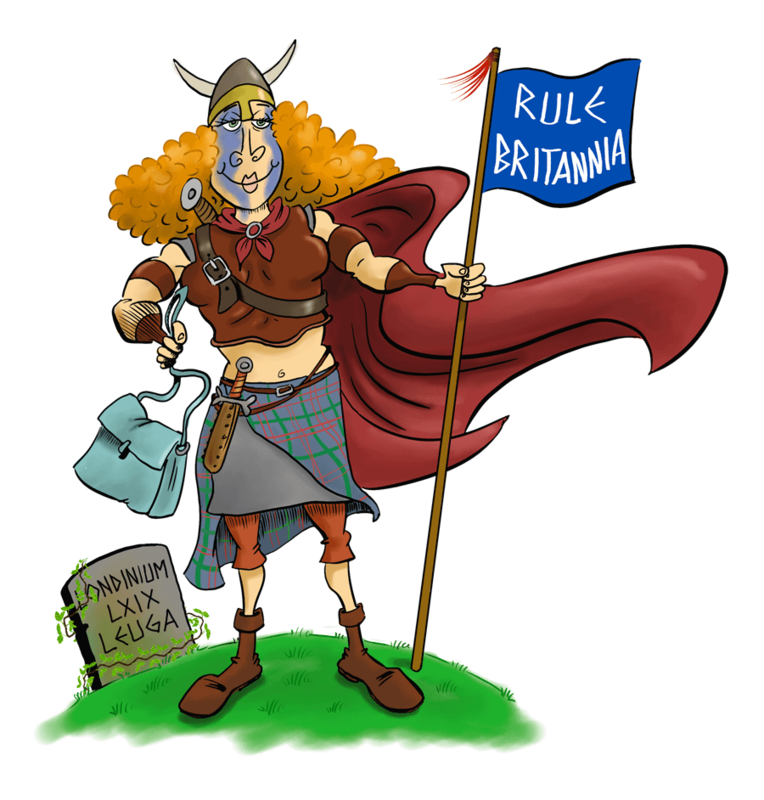 Troubles with Indiginent Celts – This is when Picts invaded England and Irish tribes invaded Wales. Now we have it the other way around. Anyhow, back to today. We at Roam have no idea how this is going to turn out. For the Traveler, this period of uncertainty has led to pound dropping from ~1.50 to the dollar to around 1.30 and probably going lower. This may put the great in Great Britain if you going there but it may also lead to price increases for items that are imported. Go visit soon while the Union Jack T-shirt means something.